Golden Sky Liverpool FC : Big Ben. 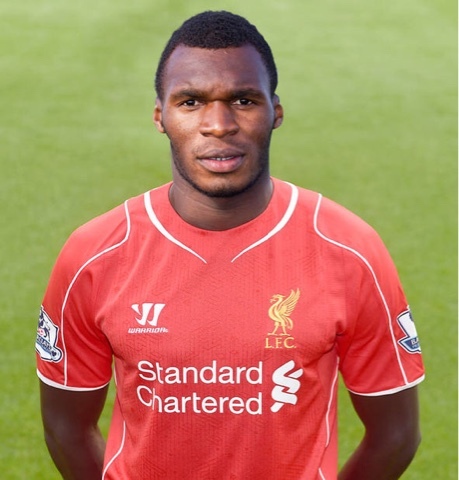 Is Benteke the man for the job, 32 million pounds would suggest our manager and owners believe he is. Nobody can say the manager didn't get the backing of the owners, Benteke was his man and they got him he cost plenty but the owners backed the manager and got him the man he wanted. Many will argue that he cost to much for me the cost is irrelevant, the owners are the people that worry about money not the supporters or manager I only worry about the team and the players the manager brings in and in this case I think we have a good player who will benefit the team. The stats show that Benteke scores goals over the last three years only Suarez, Van Persie and and Aguero scoring more and Rooney less, put an average value on these players and I think it will show that he is a bargain. Lukaku is a similar player representing the same international team with a far worse statistical record and moved last year (before the new TV deal money) for a similar wage again suggesting we have a good deal. I agree that there are foreign players who may be available for less money but there are also arguments against them, the biggest name players will not sign for us, we are not in that league, yet, not able to attract the big names and I would also argue that players in this league would cost more than Benteke. There are exciting players available in the next group down. I can feel people screaming Lacazette at me, there have been plenty rumours that he is available for a little less than thirty million and I must admit is the signing i wanted but again I feel that we will struggle to attract him from a club who have made the champions league and also when everybody in the world has been linked with him. Having said that i have to admit that I hadn't heard of him 18 months ago and without any great knowledge feel he like many players he would be a risk have I fallen into the trap of mistaking foreign and good, There is a lot say for proven premier league and Benteke is that. Many are worried that Liverpool have just bought a target man and this will result in is changing styles to just booting the ball up to him and that Benteke can only play in this style. It's true that he is a big man, he is good in the air and certainly has plenty of physicality but that's not it, he has everything else as well, he has pace, he has technical ability and he can score, all types of goals from all areas, he can play in several formations but importantly I don't think we will change anything he does have the strength and ability to hold the ball up that we need but he also has the technical ability to join in with a move and the pace, power and finishing ability to get in the end of moves, in our team I believe he has the ability to become an all round striker to be feared after all he has achieved everything so far in a struggling Villa team. Can he fit in with the flair players we already have? Coutinho and Firmino are going to be important and once Sturridge returns we have an array of attacking players can Benteke fit in? In my opinion without a doubt he can with these for players fit and firing not many will be able to stop us different styles of player yes but in my opinion compatible. In my opinion a good buy, not without risk but every chance of becoming a vital player for us over the coming years and I certainly believe that he has goals in him and goals win games.